Hiya! 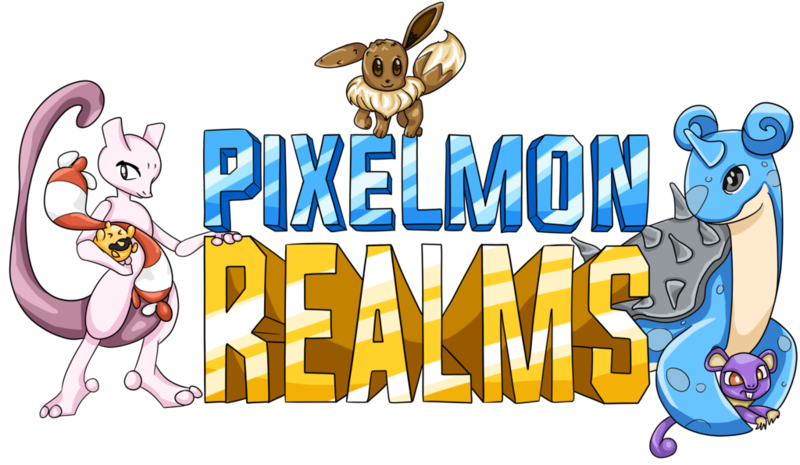 With the new exciting update of Pixelmon comes new legendaries aaaand updated biomes for the last ones, sooo this will be a new guide of what time they spawn, where they spawn in(land/air/water), and where they spawn. We do have /wiki, which may help, but some people might not want to check that. Anyways, let's get to it! First, the Legendary Birds have not changed. They are spawned by filling up a type of orb and using it on a shrine. You can find these shrines at /warp shrines. You'll see that some shrines have orbs in them. That would mean that they have been used, but don't worry! You can simply reset them with end crystals with a 5% chance. Articuno: Fill the Orb of Frozen Souls and use it on a Frozen Shrine. Zapdos: Fill the Orb of Static Souls and use it on a Static Shrine. Moltres: Fill the Orb of Fiery Souls and use it on a Fiery Shrine. Now, I'll be getting to Legendaries that spawn naturally in biomes. These will just be found as you roam around the world and it'll be announced in chat if one spawns unless it is a boss, which can't be caught. Last, but definitely not least, we have Pokémon that are received in ways other than having an orb put into a shrine for a bird or finding randomly in the wild. These will have their own special ways of spawning and they usually need another legendary to be found. Mewtwo: Craft a cloning machine a use Mew. A Mew may be cloned a total of 3 times for either a Ditto or a Mewtwo. However, if you get Mewtwo the machine WILL break. Lugia: Hang up Tidal Bells on blocks and wait for them to ring. If they ring at dawn, prepare to fight this Legendary Pokémon at dusk. It will instantly go into battle with you so make sure you have your Pokeballs on you then. Ho-oh: Hang up Clear Bells on blocks and wait for them to ring. Just like Lugia, if they ring at dawn, you will encounter it at dusk. Be prepared as these Legendary Pokémon will go into battle with you once you get to your bells. Note that these bells can only be found in crates, buying them from other players, or dungeons. Phione: Breed Manaphy with Ditto to obtain this Pokémon. Once you get one, they may also breed with Ditto, however phione does not evolve into Manaphy, so just take a note of that. Finally, we have Dialga, Palkia, Giratina, and Arceus. These Pokémon are special because you will need something called a Timespace Altar(found in /warp shrines). Dialga, Palkia, and Giratina have their method of being encountered, but Arceus has quite the process. Dialga, Palkia, and Giratina: To obtain these, first you will need three Legendary Pokémon, Uxie, Mesprit, and Azelf to obtain the Rubies of Knowledge, Emotion, and Willpower respectively. To obtain these rubies you will either find them in crates or right-click your Legendary Pokémon with a normal ruby at level 60 and 255 happiness. You also need to be its original trainer so buying one won't help. Once you have obtained all three rubies, put them into a crafting table to create a Red Chain. The Red Chain may also be obtained by defeating all eight gym leaders. The next item you will need are the Adamant Orb(Dialga), Lustrous Orb(Palkia), or Griseous Orb(Giratina). These are all found as a drop from any boss if you're lucky. Once you have these items, you're all set! That would be how it is normally, however, currently the drops and the altar happen to be broken so you may ask Kennii_ or Voxtox to let you fight the Legendary you choose if you have the red chain. Now all you need to do is go to the Timespace Altar, right click the Red Chain onto it, and then right click the Orb of your desired Legendary Pokémon. They will rise from the ground and immediately attack you, so be prepared! If you've collected all of these, then you're all set. Now, you must go to /warp shrines and go to the Timespace Altar. You'll see a cup sticking out of it and that would be the Arc Chalice. Slowly give the plates you have collected to the Arc Chalice and you will obtain the Azure Flute. Once you have received your Azure Flute, go to the Timespace Altar found nearby the Arc Chalice right-click the Azure Flute nearby the Timespace Altar, and be prepare to face the Pokemon that is said to have created the universe, Arceus. That should be it! Hopefully this helped you at least a little bit. I'll be updating this list as Pixelmon updates. I did kind of make this list right after an update I have yet to explore so if there are any problems or typos please tell me! Well, have fun hunting everybody!